Yesterday my kids and I put up our little Christmas tree, as we have done every year. Alas, this year I was a little melancholy as I realized we were preparing together for a season that – for the first time since they were born – we will not share. The reason? Their dad is traveling from Florida to Spain for the holidays and last summer (as we were driving our 9-year old to Miami airport for her first solo trip to Spain) he asked me what I though of him taking them both to Spain this Christmas. My first reaction back then was of hesitation – because like any mommy, I love to have my offspring around me during Christmas – but I immediately realized that such a trip would be a gift to my children, and a gift to their extended family – both mine and my exe´s. Of course my final answer was yes. So, in a couple of weeks, I will be seeing my girls off at Miami airport so they can cross the Atlantic and reunite with their other culture, their roots and their family. So they can spend Christmas in the cold, perhaps even with snow. So they can travel by plane with their daddy – just the three of them for the first time. I know I will shed a tear after I drop them off and when I listen to Christmas carols or think of my girls waking up to Santa´s presents without me, thousands of miles away, but my heart swells because I know both their dad and I are giving them something better than material presents: memories that will last a lifetime. 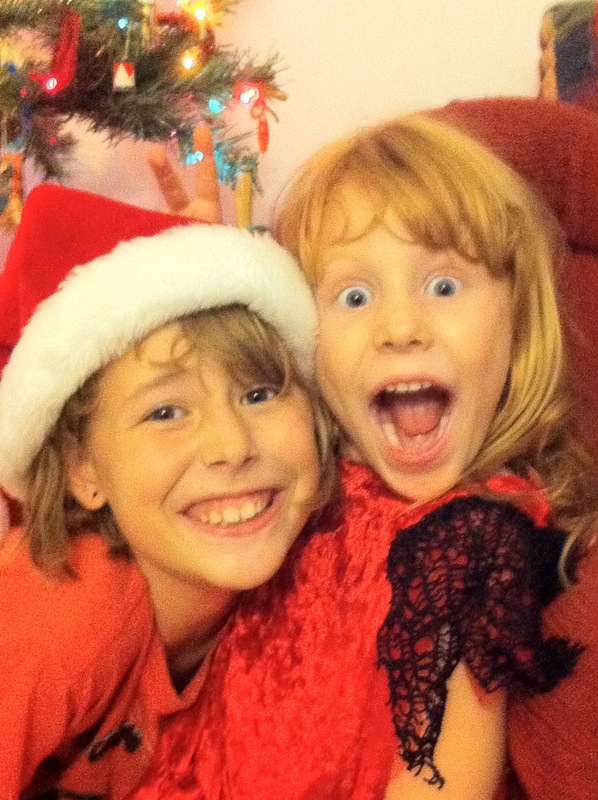 The way they are spending their Christmas – three weeks away from me in another country – is not set in our court-approved parenting schedule. We try to put our kids first. 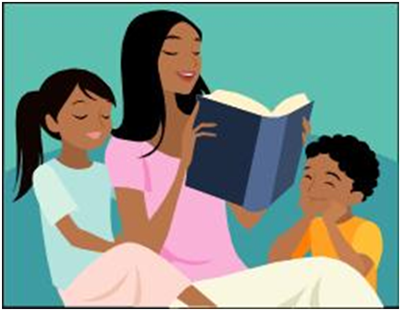 Whichever parent has the most enriching activity planned for the kids gets to take them for as long of a time as we all agree. So this year they went trick or treating on the other side of the state with daddy so they could enjoy time with their cousins who were moving away, then they spent Thanksgiving with mommy in another city so they could enjoy their friends. Both parents e mailed pictures of the girls to each other to share their smiles and happiness. Ah, nevertheless, allow me to wipe away my tears. I have to get ready to take my kids to the Christmas parade. Then, they spend the night with daddy, just because they want to. We may not have succeeded in our marriage, but despite what others may think (there is always someone with a different opinion), I think we’re not doing such a bad job at sharing the custody of two well-adjusted, adaptable and confident kiddos. In the end, our kids are the winners, and that´s the way it should be. In the U.S. if someone suggests you do something social and you turn down the invite, that’s it. End of story. “Something came up” is usually a good enough excuse even if you cancel last minute. I guess it’s politically incorrect to probe. In Spain, even if you argue that you haven’t slept in two days to meet a deadline and have to get up at the crack of dawn to take the kids to school and work, your friends will insist over and over that you join them for a drink and tapas. If, led by guilt, you finally show up but tell them that you will only be there for an hour, they will say ok, but when your time is up and you get up to leave they will call you a party pooper, they will hide your car keys if need be, and they will all rant and rave about how they have to get up early too (they usually do!) and how they never see you etc. etc. and why don’t you just stay for the last drink! So you end up chatting it up until the wee hours, sleeping nothing – again – your brain turned into mush while you nap instead of working, and wondering when you’ll find time to ever write your novel. Having lived in Spain for most of my life, I had to learn to say no – even though I was guilt-ridden to the core – and at one of my book launches I thanked my friends who were in the audience for coming and I explained that the new book was the result of so many missed dinners, outings, parties and not picking up the phone to chat for hours. They seemed to understand, but then they told me we had to celebrate until 5 a.m. to make up for it. Of course I joined them and was useless the next day. I love my friends and family, but I’ve also learned to be a little selfish with my time. This past year I managed to get my translating and writing work done, turn in a book proposal, a book and write the first draft of a novel plus keep up my 2 times a week blogging schedule (I publish my blog in two languages, so I translate the posts). But I’ve also volunteered at my kids’ school, taken them on trips, and enjoyed down-time with them and my significant other. Other than not watching TV at all which I share in a previous post, I say “no” a lot. I love parties, I love dancing, I love socializing. But if I accept every invite to volunteer, to go to a party or presentation and chat on the phone every time it rings, I won’t have time to write. So, I choose my yeses carefully. That’s why in February 2011 my 16th book will hit bookstores. I make time for my goals. What can you say no to more often? Like my Facebook Page to share your success stories. 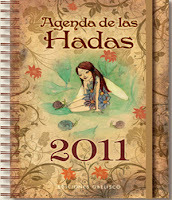 A few months ago, Obelisco, a publisher in Spain that has published a few of my books, to include The Challenge of Writing and Publishing, A Creative Child is a Happy Child and 7 Strategies to Get the Most out of Self-Help Books (with Raimon Samsó), asked me to write a fairy tale for their 2011 Fairy Planner . Alas, I was not inspired to write a fairy tale. 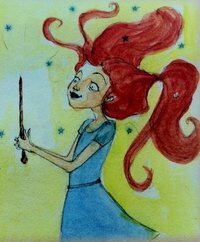 A few days later, something my daughters did inspired my short story entitled The Magic Wand, and I went from not remembering if fairies exist to thinking they just might. It´s good to believe in magic, in fairies, in Santa Claus and Peter Pan. In fact I find it´s a fountain of youth! 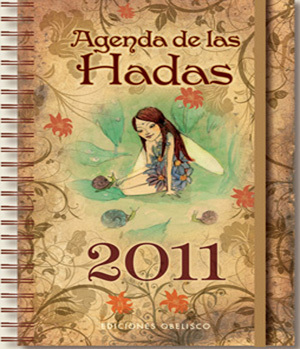 If you can read and write Spanish, go to the web page of ediciones Obelisco, and submit your fairy tale to their Fairy Tale Contest, for their next planner. Good luck! To buy the Fairy Tale planner on Amazon, click HERE. Like my Facebook page and share your success stories. I make a living with words: I write them and translate them. I also write for my own enjoyment. Writing is a craft that the writer perfects over the years. And yet I find myself craving other creative outlets. Perhaps that is why I´ve also dabbled in dancing and drawing. That´s why I spent my two pregnancies crocheting booties and shawls for my babies. I grew up watching my father and my grandfather write, and my grandfather would let me use his canvases and oil paints when I was 12. As kids, my sister and I played with clay by his side. 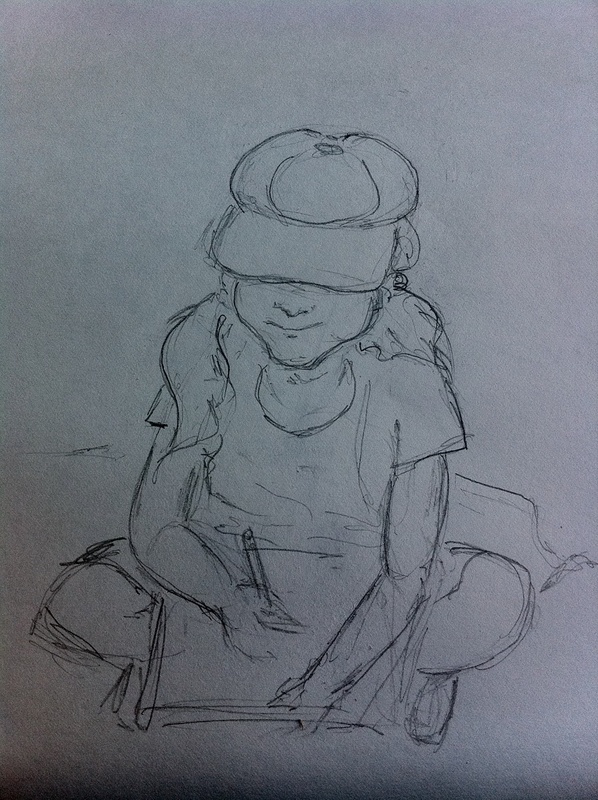 Yesterday I observed my 9-year old carry her notebook everywhere we went and draw and make notes of everything. 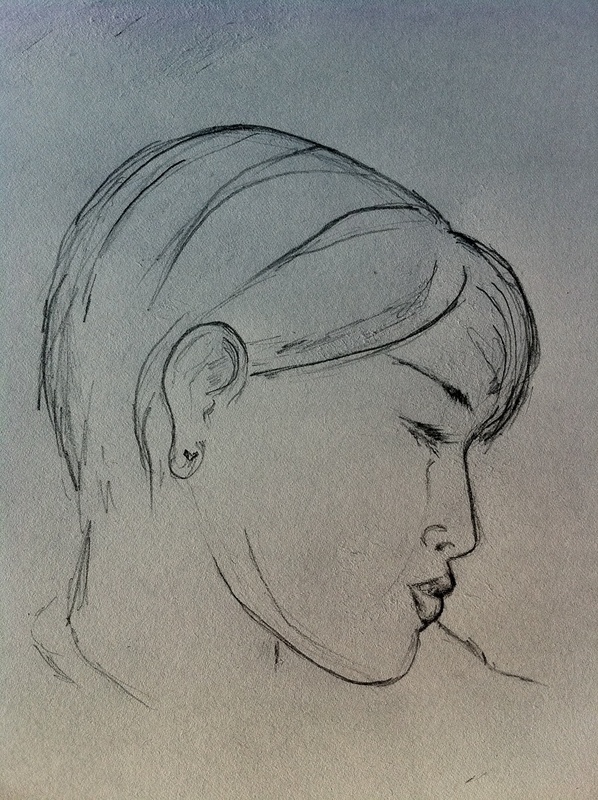 She inspired me to buy a sketchbook and pencils, and after twenty plus years of not doing it, sketch. Of course, for lack of practice, my drawing skills have not improved over the years. But, it was fun! I´d forgotten how good it felt to put pencil to paper. I´m not trading drawing for writing, just as I don´t trade dancing for running. Writing is still my main interest and will most likely remain number one until the day I die. But it is liberating and fun to take up something I thought I´d left behind for good. This time around, however, I´m not expecting anything of it. It´s fun to do things I enjoy, whether I excel at them or not! What activity or hobby did you leave behind that you could take up again simply for the enjoyment of it? My Own Rally to Restore (Financial) Sanity! Before the “R” word, I had credit cards. And I used them. Yet, compared to my friend B. who owns 50 pairs of shoes or more, I was never a shop-a-holic. 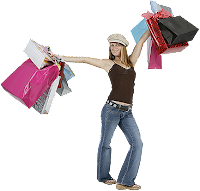 I did splurge on certain things – hairdressers and skin-care for one and my kids always had more clothes than they cared to wear. During the Recession (I capitalized it on purpose! ), stripped of my best clients as a freelancer, I found myself hesitating to buy a $5 shampoo, when I used to spend $30 on a specialty brand. Reality check! Now that I´m on a slow but steady professional come-back as a writer and translator, I realize that while my income increases along with my workload, that does not mean my spending habits should change. I learned to make the best of dire straits and I am more content spending my free time writing books and articles or reading with my kids than walking the mall and shopping for fun. Plus, I need to save for a rainy day - or perhaps for a Monsoon. I´ve hit the local mall maybe 4 times in the past year, and most of those were to get a haircut. Last week my kids needed clothes, and I use the word “needed” correctly here. So we went shopping and I realized how easy it would be to get sucked right back into the consumer trap. It is, after all, kind of thrilling to catch a good deal! I´d forgotten how much fun it is to be handed colorful bags of purchases by a smiling cashier. My eldest (9 years old) said to me: “Mommy, it feels good to be back in the old days!” I sensed danger. No, we are not going back to the old days. I´d also forgotten how it feels to find out that all those cute deals added up to more than we spend on gas and groceries in a week. I paid cash, so it was real money too! We bought what we needed, and I´m not going back to the mall until the girls need new shoes (need, not want!) or I find holes in my socks. And no, I don´t want to save 10% on my purchase today by requesting a store credit card, thank you. In fact, I don´t want to have a credit card in my name ever again. And before I even think of buying anything else, let me see what I have at home that I can sell on eBay! How I learned to be a happy person! If having money, good looks or fame were all that we needed to be happy, Marilyn Monroe, Elvis Presley and Michael Jackson, to name a few, might have lived a little longer and in better mental and physical conditions! Other than having our basic needs met – a place to live, food to eat, water to drink and clothes to wear – there are things we can do every day to increase our level of happiness. Keep in mind that being mostly unhappy or mostly happy (hey, we all have ups and downs) is a choice. Some of the most successful and happy people have had crappy childhoods, abusive parents, terrible diseases, addictions, and more. Some are survivors of concentration camps. And they don’t use it as an excuse to lead a bitter life. They refuse to! That’s why they are successful … and a joy to be around. On the other hand many people who are talented, good-looking and wealthy feel “empty”, aimless and bitter. Joy and happiness can be learned. You can train yourself to be happy. You don´t need others to behave in specific ways for you to be happy. You do not need certain things to happen to feel joyful. I´m not trying to patronize; I know first-hand. Felt good about myself on a consistent basis as a result of all of the above! What can you do to teach yourself to be happy? Yes I Can, and so Can You! When I was eighteen I had a crash that totaled the car I drove (my father’s). The vehicle ended up overturned on the sharp curve of a highway, with me in the driver’s seat and two other passengers. One of them was my sister. The jeep had no seatbelts, it was raining, and the cars coming out of the curve swerved to avoid us. Thankfully, they all did. Right after what could have been a fatal accident, my sister and I were at the ER, nervously laughing and cracking jokes, numbed by the adrenaline rush, I imagine. As the days passed, however, I realized that it was short of a miracle that we had survived the event unscathed physically. Emotionally, not so much. The realization of what could have happened weighed down on my soul and I felt exhausted and down for a while. That happened 29 years ago. For the past few weeks I’ve been feeling under the weather physically and emotionally exhausted. And this was despite a great visit to my sister in San Francisco, having just finished the first rough draft of a novel, my publisher in Spain announcing that my sixteenth book will hit the stores for Valentine’s Day, being back on the saddle freelancing, my kids being healthy and my personal life fulfilling. I felt something similar to the down after that accident 29 years ago. Most of 2009 was a symbolic wreck in my life. As I’m no longer numbed by the survival mode required in the face of extreme circumstances, I’m free to grieve and that´s what my body and soul are doing. Had I let myself realize the scope of my hardship while I was struggling to get through the tunnel of personal, financial and professional darkness, I probably wouldn’t have made it. 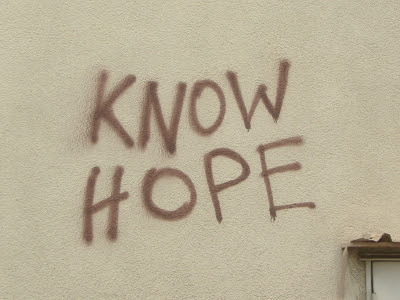 Realizing that I managed to pull through during dire straits without coming apart, albeit with more grey hairs that I care to count, has given me “permission” to feel now what I couldn’t back then, when I needed all my strength, faith and health to make it through another 24 hours, one day at a time. Now I know I can, because I did. And no matter what you are going through now, so can you!